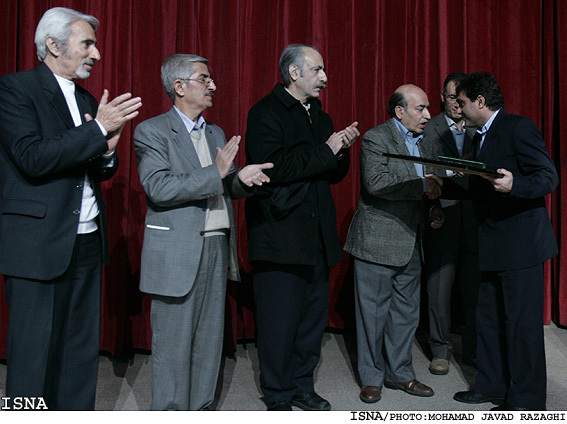 TEHRAN, Jan. 4 (Mehr News Agency) -- The eminent Iranian man of letters Sirus Shamisa was presented with a plaque of honor during a ceremony held on Wednesday at Tehran's Ibn Sina Cultural Center. Other leading academics including Bahaeddin Khorramshahi, Hossein Payandeh, Hormoz Rahimian and Saeid Hamidian attended the ceremony. Speaking at the event, one of his former pupils Hormoz Rahimian said that he has been reading Shamisa's poetry in literary magazines since his high school days. He went on to remark that Shamisa has been an influential figure in Persian literature, providing it with a new outlook and significance. 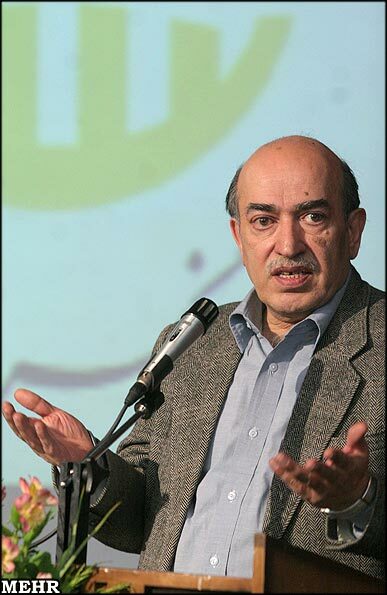 Regretfully, his poetry and short stories have not received the attention they deserve in Iran, he added. Author Bahaeddin Khorramshahi also paid tribute to Shamisa saying that he is a brilliant university professor and also a most competent author. Referring to Shamisa as a polymath, Khorramshahi remarked that he should be considered in the ranks of Iranian celebrated scholars such as Mohammadreza Shafiee Kadkani, Saeid Hamidian and Mohammad Mehdi Jafari. His doctoral thesis entitled "Allusions", which was later published, is a major reference book in Persian literature, Khorramshahi added. 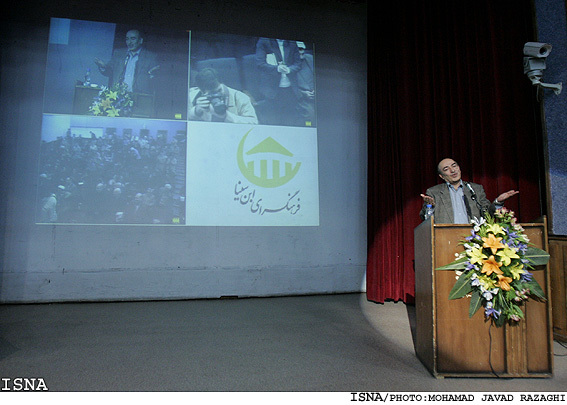 Author and university English literature professor Hossein Payandeh also made a speech, saying that although he had never been one of Shamisa's students, he had learnt many things from his books. Payandeh said that he considered Shamisa's translation of e.e cummings' anthology of poetry to be a brilliant piece of work. He praised Shamisa's analysis, based on the psychological theories of Carl Gustav Jung, of Sadeq Hedayat's "The Blind Owl". He also spoke of the diligence of Shamisa as an author, pointing out that his book on the art of composing verses in Persian poetry shines out amongst the plethora of other books on the subject. 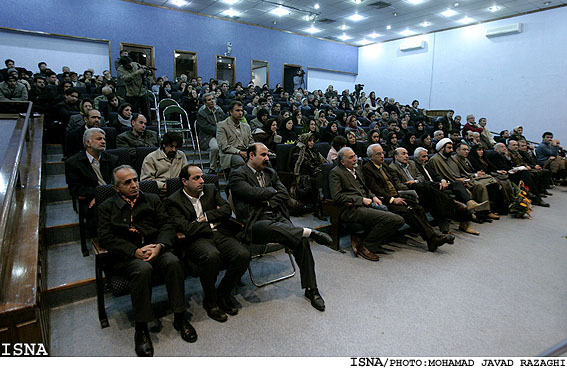 Persian literature Professor Saeid Hamidian also paid homage to Shamisa saying "Shamisa is not a phenomenon that will be repeated in the field of literature". Shamisa is the embodiment of many attributes including creativity, big-heartedness, the ability to be an understanding teacher and a comprehensive scholar, he mentioned. His book on the topic of literary genres is the foremost and most comprehensive work on the subject in Persian literature, he added. Hamidian noted that one of Shamisa's distinguishing qualities was his modesty. At the end of the ceremony, Shamisa expressed his thanks, and after making a speech recited one of his poems, which was most appreciated by the participants.